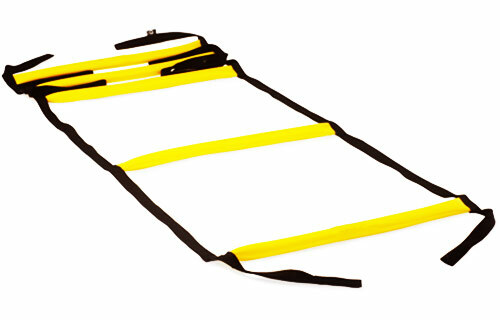 If you are looking to compete with faster feet and more explosive body control then a Speed and Agility Ladder will be a great addition to your training. Utilizing endless step sequences you will find your game improving fast. With a combination of high knee movements both forward and laterally you will build hip flexor strength for improved running speed. Dynamic quick step movements can be utilized to improve foot speed in high traffic areas during competition for more explosive cuts. Speed and Agility Ladders are also a great tool for improving one legged power and control. Most movements in sports are performed on one foot so it is essential to spend time focusing on one legged movements. 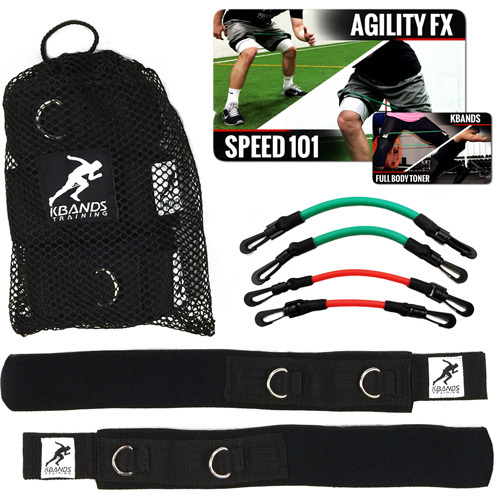 Every Kbands Speed and Agility Ladder comes with a complete 3 step ladder training sequence to build each of these three elements to optimize your results every training session. Enhanced agility with ladder training. 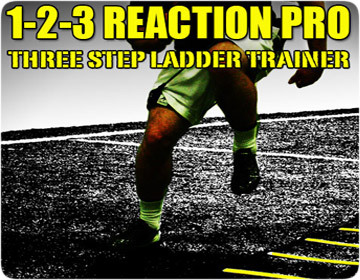 Included with each Speed and Agility Ladder you will receive the 1-2-3 Reaction Pro ladder training series. With this downloadable workout program you will be able to train anywhere. Place the Reaction Pro Videos on your smartphone, tablet or computer and increase your foot speed and body control today.